Durable snap-on brushes for quick setup and cleaning. 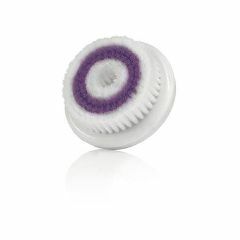 Satin Smooth® HydraSonic Normal Skin Facial Brushes cleanse 14x better than manual cleansing. Reduce oily areas, dry skin patches and blemishes, minimize appearance of visible pores and make skin look and feel noticeably smoother.